The impressing stone bridge with three arches is situated in the ward of town Poltár called Zelené. 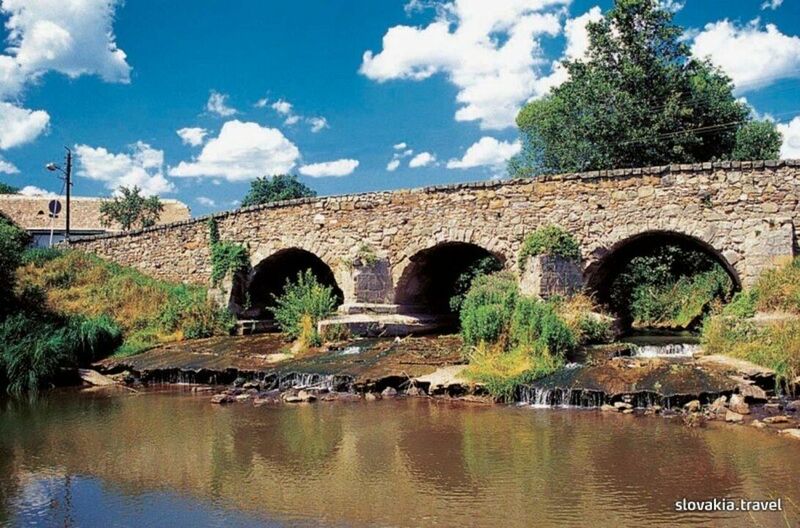 The bridge dates to the time of the Turkish occupation in this region in the years 1554 – 1593. But in this case, this is not the original version of the bridge as it was rebuilt in reconstruction. Original stones were used in reconstruction and the bridge is still in use. The bridge is the sought out attraction and asset of Poltár.